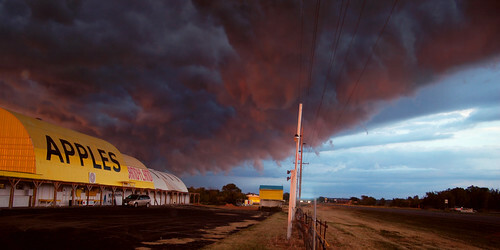 Storm clouds moving across HWY169, originally uploaded by Jon & Brigid. From last night's storms, what better way to kick off this blog? I'm so excited for this blog! Thanks for the first day comments and keep checking back because I am excited about how much fun this is going to be. Enjoy the photography! I just came across this blog earlier today (Thanks to a post on reddit) and have spent the past 5 hours staring at each and every photo in awe.